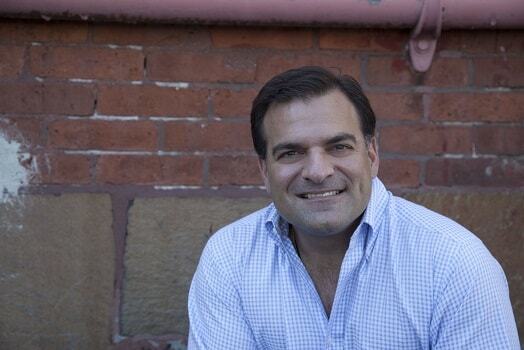 Today we are interviewing Neal Bogosian, author of THE AGE OF HEALING: Profiles from an Energy Healer. I am a certified public educator, and former public school teacher. I am also the author of the young adult and sports novel, THE ADVENTURES OF CHIP DOOLIN. I hold a double Master’s Degree in Education, a BS Degree in Communications, and a degree from The American Academy of Dramatic Arts. I presently work as a holistic healer, writer and author. I have had my own holistic healing practice since 2010, and I am certified in Quantum Touch Levels I & II, the latter of which incorporates heart energy. As a result of my interest and passion for the study of energy, energy healing, and its countless applications, I extended my understanding through personal research and countless hours of live trials, and practicum. I was also previously on the staff of the Integrated Care Program, at Women & Infants Hospital, for the oncology ward. The purpose of the book is to remind people who we really are; I believe we have forgotten our true potential, and gotten lost in the sea of society that is often marked by regimen and controls. In the process, I think we have lost part of ourselves. I think that most people in mainstream society are not aware of how much power they really do have – I’m talking about human potential and personal empowerment. We have been taught in school and in life that there are limits; to depend on others and institutions, and even government for our well-being, but in doing so we give so much away. If we think in limits and boundaries we are putting limits on ourselves. The assessment of human capacity is incomplete, and I wanted to let people know that there are other ways of relieving symptoms and feeling better, and we really do have the power, in many instances, to heal each other. We are truly powerful beings, and holistic energy healing is a real alternative. Anyone who is seeking other ways to feel better and achieve well-being, or who frequent self-help, and health and fitness books; those who are spiritual and/or have a passion for natural living, alternative medicine, alternative healing, wellness, holistic living, and independence, who wish to read about a set of sessions that actually demonstrate human energy potential. Also, naturopaths, reiki healers, and massage therapists. Lastly, anyone interested in further exploring the untapped capacities of humanity, energy, and quantum physics; those seekers of life who have not yet grasped that there really is more to us than what physically appears in the mirror. What inspired you to write a book about energy healing sessions? I saw a need for it. I wanted to take people inside actual sessions to give them an insight into what occurs through the eyes of the healer, and the meeting of energies between client and healer. I think there needs to be more revelation and enlightenment on the subject of natural healing. My intent was also to further familiarize people in the mainstream with energy healing, and hopefully make them feel less apprehensive about seeking it out as an alternative therapy – but it’s not so alternative. It has been in existence for thousands of years. Society has become so programmed to Western medicine as the ‘end all–be all’. As I write in my book, I have an old copy of Fate Magazine from 1958. Do you know what is advertised in there? Yoga! This means it took almost 50 years for Yoga to assimilate into Western culture. This should shed some light on how narrow the scope has been toward other health modalities beyond Western medicine. In fact, the magazine was considered in the classification of the occult. I don’t think many people would classify Yoga as being of the occult today. One of the themes of the book is that we’ve reached an age of empowerment. What allowed us to reach this point? Energy and truth. We are seeing both of these play out in our national and global society. I believe we are in the midst of an awakening. The veil of deception, in both personal and global perspectives, is falling off and gradually revealing some raw truths. Simultaneous to this are major earth shifts. Look at all of the volcanoes throughout the world that are suddenly awakening at the same time. This is no coincidence. However, these are also energy shifters. The frequencies are shifting and evolving on our planet, awakening not only dormant volcanoes, but also deeply embedded cellular patterns in humanity, down to our DNA. Subtle changes are occurring in how people view the world and their own reality; that which may have been of supreme importance ten or fifteen years ago, and for most of the 20th century, is suddenly not so important – this also is not coincidental. It is where resonant frequencies come into play, which elicits the topic of oneness. We are absolutely all one…and we share the same fate of temporary incarnation, which should bring us together, not divide us. The more people come together irrespective of controlling bodies and institutions, for a good, peaceful, socially responsible and loving cause, empowering energy surfaces and spreads. So…this is a literal thing that is occurring. It’s not just an idea, in my opinion. We are going through some very volatile times, but I believe something wonderful awaits on the other side of this cycle – the phoenix that rises up, ushering in a new era. It is one of the reasons we are seeing so much upheaval and wrestle for control on the planet. Therefore, it’s also about surrender of the self and a release of ego, the latter of which has harmed and damaged progress throughout the concourse of human history. This is why I named the book, THE AGE OF HEALING. What kinds of ailments are healed in the book? Well, the word “healed” is a term of conclusive finality, as if to say the client came to me and their ailment(s) were instantly cured. As readers will discover, this is not like miracle work. It is working with the body’s natural energies and frequencies. Therefore there are different degrees of healing that occur on multiple levels. In the book I discuss a range, from those that were complete, to those that resulted in short or long-term relief of the client’s symptoms. If you are suffering from an ailment that is stress-related, and you leave my healing room feeling better and relieved of your ailment, but you go right back the next day to your stressful lifestyle, over time, your conditions could return. It’s much like that quote widely attributed to Einstein, “the definition of insanity is doing the same thing over and over again, and expecting a different result.” However, I do discuss actual healings of chronic allergies; kidney stone; headaches and various bodily pains. Energy healing is also effective in alleviating the side-effects of chemotherapy. I had a late-stage cancer client who gained seven pounds and their vitality while undergoing chemo – they even wanted to go back to the gym! I also discuss the alleviation and release of pain that a client was experiencing, associated with the personal loss of a loved one, which resulted in a very lucid dream of that loved one later that night; and another client with diastasis, who lost 4 inches off her waistline, after just two sessions, and never had to do another thing for it. I’ve worked with a client to realign pelvic bones that alleviated hip pain, and I tell the successful healing story of another client who was told he was going blind – his vision actually sharpened and the symptoms began to reverse. All of this is discussed in the book, as well as episodes that were more spiritual in nature, such as clients who had out-of-body experiences, and another client who had the wherewithal to take pictures during her healing, and she captured white healing orbs in the area surrounding her leg, where I was sending energy, and where her injury was – her pain and injury was gone by the end of the session. I have the orb photos on my website at: QuantumEnergyTreatment.com. I’ve also experienced energy masses or blockages actually rise up through my client’s leg and my hand – we both felt it and it was amazing. Can you describe for us a typical energy healing session? Sure. For a physical in-person healing session – I conduct distant healing sessions as well – I am usually first given an overview of the issue that the client would like addressed. When the client arrives, they fill out an in-take form. Unlike a massage, the client remains fully clothed and gets on my table, lying comfortably on their back. I then begin the session, with specified intentions based on their given issues or ailments. It is a very relaxing experience, and clients usually report a variety of sensations and results, ranging from heat and tingling sensations, shifting energies within their bodies and muscle groups, a sense of weightlessness, and many will also fall into a deep sleep or healing trance, waking up refreshed. It is important to drink water following each session because water not only acts as a conductor of energy, but it also will flush through the system. The energy from a session will continue to work and flow for up 48 or 72 hours. What do you think are some of the biggest misconceptions about energy healing? People often believe that we must be able to physically see, touch and hold that which can help, heal or benefit us. The truth is that what we cannot see in unseen space, is far, far more powerful than that which we can see, in the physical domain. Quantum physicists like Niels Bohr, and geniuses like Nikola Tesla were very much aware of this concept, and not only considered it in their work, but incorporated it. We live in a mental universe, largely determined by mind and manifestation. Another misconception is that some people who are not familiar with energy healing expect it to work like a miracle. We are, each of us complex, in the sense that we have different ailments, but also vastly different life histories. For much of Western culture, society has gotten used to taking a pill or pharmaceutical that masks the symptoms, and is often addictive; it may alleviate a symptom for a few or several hours, but the next day another pill(s) need to be taken. This cycle perpetuates. I am not suggesting an end to pharmaceuticals, but rather a better understanding of what many of them do. Just because a doctor may offer them, doesn’t mean they are good for you; the doctor is simply doing his job in seeking to alleviate or diminish a set of symptoms that are present. Energy healing is not a miracle, but miracle-like results can occur; it does not mask the symptoms, but rather begins to go straight to the source, to address the root cause. Energy is intelligent…it knows where to go, and we are energetic beings. Energy healing also works at a cellular, molecular level. It can reverse a variety of issues. The book includes a list of activities that the reader can do to amplify his/her well-being. Can you tell us a bit more about these activities? I wanted to provide the reader with a short list of things to do, to combat some of the issues they may be facing. I used to work in corporate America, so I know what can occur, and I also worked as a full-time special education teacher in a public high school, where stress levels can spike at a moment’s notice. Similarly, I’m aware of the effects of negativity and constant cynicism inside of a home. I have encountered negative environments in some households I’ve visited to conduct healing sessions, and it gave me an immediate indication of what kind of home environment persists. It has been proven that chronic stress can actually alter brain chemistry, and I believe that chronic, constant negativity can also fester and cause issues. However, positive energy is hundreds of times more powerful than negative, and I know that I can clear the immediate space that encompasses my client and me. Therefore, I wanted to give some activities and exercises that people could do – quick ‘charge-ups’, clearings and refreshers – to cleanse their energy fields and their minds of any inhibiting energies. Some of them can be done either in the workplace or at home. I think it’s important for people to know that our energy fields can extend several feet outward, and so…other people’s energetic junk can get stuck in those fields. I believe it is why some people may go to work in the morning feeling perfectly refreshed, only to return home at six or seven o’clock completely drained. It’s almost like a psychic drain. This also lends credence to what I said earlier about people’s life histories…there is much that can contribute to a particular health issue. Anyway, I provided the reader with some additional healing tools of their own that begin to exercise and activate their imaginations, minds, and energy. There’s also a loving energy exercise to do with a partner or loved one. The most interesting thing is that there has been so much written on the subject of energy, human potential, and the latent powers of the mind, but very little finds its way into the mainstream news channels – it rarely enters people’s conscious peripheries. Instead, we are bombarded by pharmaceutical advertisements, negative or agenda-filled news segments…and the latest gossip. These do absolutely nothing to empower us. Much of the content, such as pharmaceutical ads, have subliminal and subtextual effects on our minds. People need to start to ask themselves, is it right that I’m constantly being bombarded with ways that I can be sick, and pills that can help me if I am sick? Wouldn’t it be more beneficial for me, to focus on sound health rather than sickness? Many of the commercials, I believe, act like suggestions to the mind, and as I say in my book, they want to make sure that you know what ailment you could get, and if you do…what pill you need to take for it. We need to shift our focus in our society. A perfect example is cancer. Words carry energy, and the word alone elicits fear within the body and mind, and yet, ribbons and signs and fundraisers are everywhere. Instead of run for cancer, bike for cancer, walk for cancer, and cancer ribbons, how about we replace that with Run for Health, Bike for Health, Walk for Health, and Health ribbons. Which one sounds more empowering? Our thoughts have energetic frequencies; they circulate. Everything is energy. So, what I uncovered in my research is that the principles of mind and energy that support what I’ve just said, have been written about for years, but…staying healthy doesn’t make drug companies and the medical industry money. However conspiratorial that may sound, it’s true. I tell people to shut off their volume or television when pharmaceuticals are advertised on television. Leave it to your doctor to tell you what you need. It’s easy to get stuck in all of the downtrodden messages, but many people don’t realize it’s happening to them. Our minds are very powerful – but also easily impressionable, and our bodies are loyal servants to the mind. 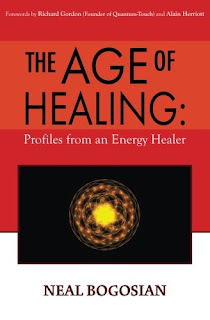 Hmm…for those not familiar with energy healing of any form, I hope it broadens their acceptance and view of other available ways to make them feel better. I think people who read it will ponder more about their minds and their imaginations, and the powers we have within that are vastly under-utilized. I think the book might compel many people to become seekers of more. To this end, I think there may be some revelation and wonder, which would be an honor. I care about people and the world very much. It is why I pursued energy healing…it really all stems from love, which is the most powerful of emotions, not in a romantic sense, but in a frequency sense. Walk into a room where there is love and positive energy and most people want to stay. I am working on a few things right now. I’ve written another novel, which is actually a book of peace and entails many holistic elements, about two enemy soldiers during wartime, which I hope to release in the next year or so. The working subtitle is INTO THE NEXT WORLD, and it is every bit about that, since I believe we are living in some of the most unique times every recorded in human history, and will eventually lead to a proverbial new world – and with all of the geologic activity going on right now, perhaps even a new earth. There are already new land formations rising out of the ocean, and so, the novel immerses into these emerging times, and dips into the myriad possibilities of love and peace; a world without conflict – which I think will define our next age, despite all of the shifts, upheaval, and sinister acts we are presently witnessing unfold on our globe. Oftentimes, extremes are needed so we can appreciate the good in life, and upheaval can be on the path to healing. I’ve also written a double-episode television pilot on the life of Nikola Tesla that continues to evolve in my mind, and I hope to soon start work on a futuristic novel with a writing partner that actually incorporates some energy principles, and subtextually espouses the importance of maintaining and preserving the sanctity of life and freedom. 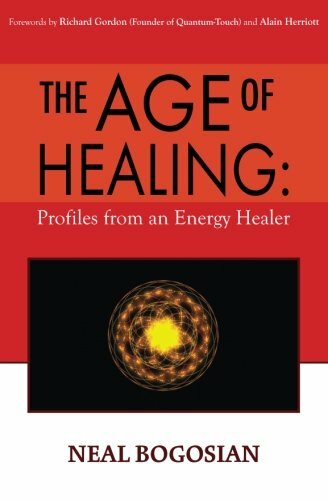 I would then like to assess the feedback from THE AGE OF HEALING and determine what type of follow-up book might be best; what the readers and audience feel might have been missing in the book, or what more they would like to know about energy, energy healing and human potential. I am available for questions, discussion or clarification. Readers can reach me through my website. If they’d like to schedule a session – local or distant healing – they can call me directly. There is a place in the book that explains how they can get a discounted session. The contact number is also on my website. The book should be a beginning and continuance of the dialogue on energy healing, not an ending. For readers, I hope it becomes a bridge for much more; I hope it spurs their curiosity and enacts their imagination – because that is where it all starts…the mind. It is really all quite beautiful.